I am just back from my journey to Thailand to teach a course for the Buddhist Education for Social Transformation Project… will write more about that soon. 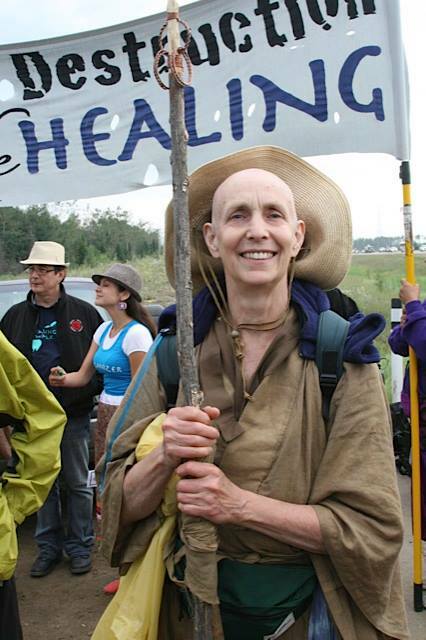 For now, I want to share with you the following news that I received from Shodo Spring, who initiated the Compassionate Earth Walk earlier this year to address climate change from a dharma perspective and specifically to raise awareness about the Keystone XL Pipeline. Deep bow to you, Shodo, for your practice and wholehearted commitment to liberation for all beings. For further information and updates, see the blog and website at www.CompassionateEarthWalk.org. Posted in Environment and tagged Compassionate Earth Walk, Keystone Pipeline, Shodo Spring. Bookmark the permalink. What do we do today with our own journey acorss the earth, where ever our steps may take us?